At Aeon, we take special pride in planning customized group tours of the city of Paris and the surrounding areas for schools and groups. Our tour specialists take the utmost care in planning your Parisian adventure, designing unique itineraries based on your budget, trip goals, and the length of your stay. Get a firsthand view of the enchanting City of Lights, with our 4 hour introduction to Paris. See all the most important sites in Paris including the Eiffel Tower, Louvre Museum, Arc de Triumph, Notre Dame and much more. No visit to Paris is complete without a visit to the legendary Louvre Museum. Your private guided tour of the Louvre will allow your group the opportunity to explore the masterpieces housed there, while skipping the long entrance line! The Seine River has always been the heart and soul of Paris. Discover the beauty of Paris's monuments and bridges in a completely different light - at night on the water. 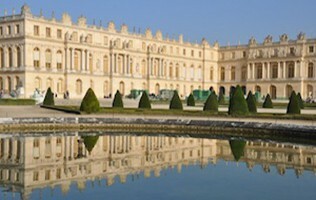 Explore the famed home of Louis XIV and the center of French royalty, the Palace at Versailles, Hall of Mirrors, and the lavish gardens. Of course, your group will also get a priority entrance allowing you to skip the entrance line.